Technology that is worn on the human body, called ‘wearables’ for short, are the next frontier in personal computing. Like the laptop, tablet and smartphone before it, wearables are quickly becoming commonplace among consumers. From basic activity trackers that count steps and calories burned, to clothing with sensors woven in to the fabric to detect the body’s vital signs are the first iterations on this technological advancement. Over the last few years a plethora of wearables have been introduced to the world. From cancer sensing bras to running socks that not only track steps and speed but go way beyond that to track cadence, foot-landing technique and weight distribution. The start-up world is awash with companies developing innovative products like these and crowd-funding platforms Kickstarter and Indiegogo have helped numerous small companies raise the necessary cash to take an idea from concept to market. According to research from the University of London, the wearable market will be worth $19bn in 2019 and will continue to rise. The wearable market is a fast growing one and it’s not just a focus for tech start-ups and SMEs. Large multinational companies have made wearable technology a priority market also. Search engine giant Google launched its Glass project, a head-mounted display wearable computer in 2011; the wrist-worn FuelBand launched by Nike has been a success in the activity tracker market and analysts are predicting we’ll see the anticipated iWatch from Apple in the not too distant future. As wearables become commonplace among consumers and increasingly track more data about bodies and lives in general, what impact will this have on public relations and the wider marketing industry? Here are a couple of scenarios of what may happen. 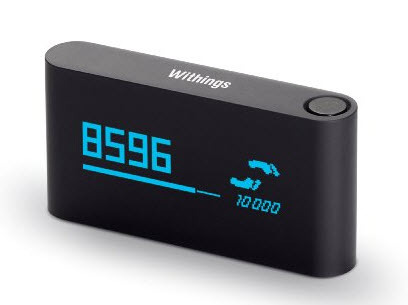 Wearables will add a whole new dimension to social media and connect us to people in a new and different way by passively tracking our data and connecting us to people similar to ourselves. We’ll be matched on our temperament, location, current activity etc. From a dating standpoint, dating websites will incorporate our genetic data and match us to potential partners that have a similar or complimentary DNA, especially with those that are looking to have kids and want to produce the healthiest child possible. If you’ve seen the Tom Cruise film, Minority Report, you may remember the scene where it gives a glimpse of the director’s prediction of the future of advertising. One scene shows Cruise’s character being besieged by adverts based on his personal profile detected by an eye scanner on the billboards. While something as extreme as this may not happen (thankfully) our biometric data will help PRs, advertisers and the media serve up content that is relevant for us at that time. For example, perhaps your body’s vitamin D levels are low so personal recommendations for sun-filled holidays are given to you in various media forms. Or maybe your mood’s been low lately so rail companies send you deals on visiting your family up north. This type of marketing takes contextual advertising one step further and basis the content you’re served not on what you’re currently looking at (or have previously been looking at) but looks at your current state on both an emotion and physical level. For all the criticism it receives, public relations is a resilient industry and stands to benefit from this oncoming personal data deluge. Once upon a time critics speculated that public relations had had its day due to the influx of social media channels and two-way conversations online. That of course never happened and while the industry didn’t exactly reinvent itself, it has evolved – and continues to evolve – with the ever-changing digital landscape. Consider wearables as another evolution of that. Stephen Davies is an early adopter of new forms of communication and wearable technology. He is Director of Digital Health, Europe at Weber Shandwick. You can connect with him via his digital health blog or Twitter (@stedavies).